Choosing a Mexican destination may be one of the most difficult aspects of your vacation travel planning. From the colorful streets of colonial cities to some of the most beautiful beaches in the world, Mexico is a big country with a great many cities and beach destinations to explore. So how to choose? Every traveler is different and each is looking for their own particular slice of paradise. 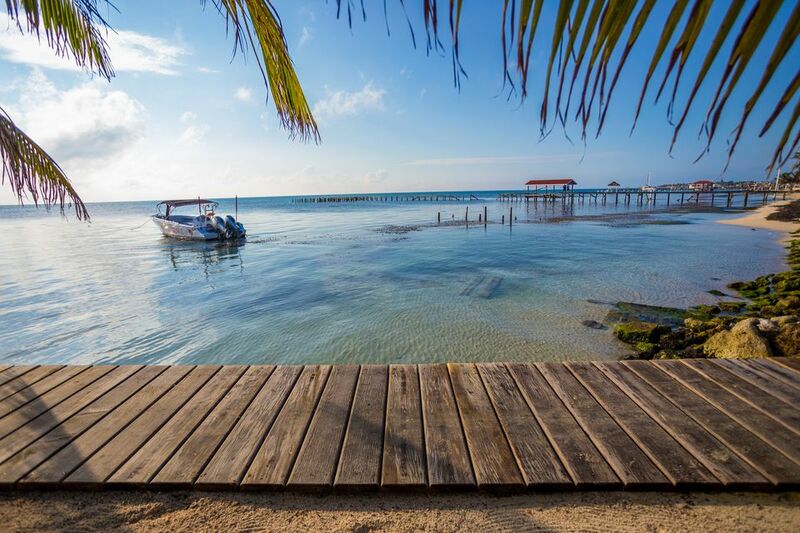 Here's a look at some of the most popular vacation spots with some basic information about each of them to help you choose the perfect spot for your Mexican vacation. Acapulco, on Mexico's Pacific coast in the state of Guerrero, was Mexico's original resort area. It was popular in the 1950s and was even a vacation spot for the Hollywood elite. A group of stars including Johnny Weissmuller (the original Tarzan) and John Wayne bought and ran the Los Flamingos hotel as a private club. There was even an Elvis Presley movie, Fun in Acapulco that promoted the destination to the world. Some things have changed: Cancun and Los Cabos are now preferred destinations for stars holidays, but Acapulco still offers stunning beaches and wild nightlife. It's a popular spring break destination and is also the choice weekend getaway spot for folks from Mexico City. There are lots of fun things to do in Acapulco, including seeing the famous cliff divers perform their amazing stunts, learning about the city's history as the original port connecting Mexico to Asia at the San Diego Fort, and of course, exploring the beaches and old town. But there are some other things to do that you may not have expected in Acapulco. Cancun, on Mexico's Yucatan Peninsula n the state of Quintana Roo, is the most visited resort area in the country and receives over 3 million visitors each year. There's a good reason this is such a popular vacation spot. Its modern hotels, gorgeous Caribbean coastline, and proximity to ​Mayan archaeological sites makes it a destination anyone can enjoy. There are multiple interesting options for day trips from Cancun, including water and nature parks, cenotes, ancient sites, and more. But with Cancun's beautiful beaches, you may decide that you don't need to go any farther than the spot you've selected on the sand. When choosing a resort in Cancun, choose one that's right for you and your travel companions. Are you traveling with small children? Pick one of these family friendly Cancun hotels. Going for a romantic getaway? You'll probably be happier at an adult-only resort. For many years Guadalajara was the second largest city in Mexico and still retains its status as Mexico's "second city" although a few other industrial cities like Monterrey have surpassed it in size. This vibrant city in the state of Jalisco offers everything from historic sites and remarkable museums to traditional architecture and elegant monuments which attest to its nearly 500 years of history. Its vibrant cultural and intellectual life make it a magnet for foreign students. The city takes pride in being the birthplace of mariachi music and tequila. There are lots of things to do in Guadalajara. On first arrival, the best thing to do is take a walking tour of the city center to gain an appreciation of the wonderful architecture and historical monuments. If you're wondering what to eat during your stay, you'll find a lot more beyond the city's most famous specialty, tortas ahogadas ("drowned sandwiches"). Find out what to eat and drink in Guadalajara. You can also take a day trip to tequila country to explore Mexico's most popular drink and the place where it's made. Guanajuato City is the capital of the state of the same name. It has approximately 80 thousand inhabitants and is a UNESCO World Heritage site. It was a silver mining town and played an important role during Mexico's war of Independence. Nowadays, Guanajuato is a university town with a vibrant social scene, particularly in the month of October when the Festival Internacional Cervantino takes place. Originally meant to pay tribute to Miguel de Cervantes, the festival has grown and is now a celebration of all types of cultural expression including music, dance, theater, visual arts, and literature. Guanajuato has beautiful examples of baroque and neoclassical architecture. Las Bahias de Huatulco (the Huatulco Bays) occupy over 20 miles of beautiful coastline along Mexico's Pacific coast in the state of Oaxaca. The nine bays that make up Huatulco offer a variety of options for visitors: the big resorts are located on Tangolunda Bay, Santa Cruz has tranquil waters - great for kids and other unsure swimmers, and La Entrega has a coral reef just offshore which makes it the best choice for snorkeling. There are also several beaches that are completely undeveloped, some which can only be reached by boat; these are perfect for those looking to get completely away from the crowds. Besides its beautiful beaches, Huatulco also has amazing natural life: it’s located in a large undeveloped natural area with a national park right nearby. There are a variety of hotels and resorts in Huatulco, but there are also options for budget travelers who will find economical accommodation options in the town of La Crucecita, just a few minutes drive from Santa Cruz Bay. Those looking to stay in a more authentic Mexican town, particularly those who like to surf, may prefer another spot along Oaxaca's coast, the town of Puerto Escondido. The resort town of Ixtapa, is located on Mexico’s Pacific coast in the state of Guerrero, 160 miles northwest of Acapulco. This is a beach resort area with high-rise hotels, golf courses and all-night discos. Its sister city, Zihuatanejo, just 4 miles away, is a laidback fishing village with cobblestone streets and inexpensive restaurants. As a tag team, these two towns of Ixtapa Zihuatanejo make a fantastic two-in-one vacation destination with all the modern comforts of a resort area and all the local charm of an authentic Mexican town. There are lots of reasons to visit Zihuatanejo, but we could come up with a list just as long of reasons to visit Ixtapa. Ultimately, either of these towns offers the advantages of the other because they're so close together. You can go snorkeling at Ixtapa island, take a bike ride on Ixtapa's bike path, see the crocodiles at Playa Linda, sample mezcal at one of Zihuatanejo's informal bars, or dance the night away at one of Ixtapa's upscale nightclubs. Truly a multitude of vacation choices! Located on the tip of the Baja peninsula in the state of Baja California Sur, the two cities of Cabo San Lucas and San Jose del Cabo, and the corridor connecting the two, together make up the destination of Los Cabos. The two towns offer distinct attractions in a beautiful natural setting, with the stunning rock arch at the very tip, in the place known as Land’s End. Cabo San Lucas is the main resort area, with a marina, high-end hotels and resorts, and a plethora of restaurants and nightclubs. San Jose del Cabo is a more laid back town with a lively arts scene, lots of galleries and boutiques. You can take part in an organized art walk (every Thursday night between November and June), or see the sights and monuments on your own San Jose del Cabo walking tour any time. There are lots of things to do in Los Cabos including exploring the beaches, going on a whale watching excursion, adventure activities like zip-lining and riding an ATV through sand dunes, or you can even ride a camel! Grown-ups looking for a child-free getaway will enjoy these adult-only Los Cabos resorts, but there are many family-friendly options as well. A beach destination that is also a colonial city, Mazatlan is located on Mexico's Pacific coast in the state of Sinaloa, some 270 miles north of Puerto Vallarta. This is a popular port of call for cruises along the Mexican Riviera. With golden beaches, vibrant nightlife and a host of water sports and wildlife watching activities available, Mazatlan has a lot to offer visitors. It also hosts one of the biggest Carnaval celebrations in the country, with concerts and shows, parades with floats and dancers, fireworks spectaculars, and general merrymaking. You can explore town on board one of the golf cart taxis that are known as "pulmonias," take a stroll along the picturesque Malecón, go on a day trip to one of the nearby islands, such as Isla de Venados (Deer Island), which can be explored on foot or by kayak, or if you're looking for an adrenaline rush, check out the Huana Coa Canopy Adventure. Mérida is a bustling cosmopolitan city and its location on the Yucatan Peninsula gives it a unique flavor. Yucatecan cuisine, beautiful colonial buildings, the proximity of some of Mexico's most impressive Mayan archaeological sites and a vibrant cultural scene make Merida a fascinating destination. Mérida was founded in 1542 by the Spaniards on the old Mayan city of T'Ho. The current main square was established in the heart of the ancient city. Today it is bordered by some of the most representative buildings of the city such as the Cathedral, the Casa de Montejo, and the Government Palace, among others. The plaza itself is full of trees and benches and is a great place to while away some time people watching. There are cultural events almost every day of the week, and on Sundays, they close off the streets to traffic to allow cyclists to have the right of way. Don’t miss a visit to the Gran Museo del Mundo Maya museum which has fascinating interactive exhibits about several interesting subjects including the asteroid that may have caused the extinction of the dinosaurs, the geology of the area, and of course, Maya civilization. Once the capital city of the Aztecs, later the capital of colonial New Spain, Mexico City is now a modern metropolis brimming with possibilities for the visitor. You can visit the main temple of Tenochtitlan (as the city was known to the Aztecs), or a plaza where you can see buildings from the three different periods of the city, Tlatelolco. First time visitors should take a walking tour of the historical center to discover many of the important buildings and monuments, or take a ride on the Turibus, to get your bearings. Mexico City is one of the cities with the most museums in the world, but when it comes to museums, it’s not just about the quantity! There are several excellent museums that are certainly worth a visit. You can also visit sites that were of interest to Mexico’s most renowned artists, Frida Kahlo and Diego Rivera. These are just a few of the reasons why you should visit Mexico City now. Morelia, in colonial times known as Valladolid, was one of the country's first Spanish cities, founded by New Spain's first viceroy, Antonio de Mendoza. He encouraged Spanish nobles to settle there, and their presence brought about the construction of buildings which were both elegant and grandiose. As the birthplace of revolutionary hero José Morelos de Pavon, the town played a strategic role during the War of Independence. It was among the first to fall to the independence movement, and Morelos led his army from there on towards Mexico City. After Mexico gained independence, the town's name was changed in his honor. Morelia maintains a very European feel. The colonial buildings are well-preserved and the town plan is in the typical Spanish style. It is a great place to appreciate Mexico's colonial architecture and is host to many cultural events throughout the year. Oaxaca is also considered one of Mexico’s foremost food destinations, with a variety of special Oaxacan foods and drinks. The city also has some excellent restaurants. Fewer than two hours outside of Mexico City, Puebla de Zaragoza has beautiful colonial architecture, great cuisine, and a fascinating history. It was the site of the landmark battle of 1862 which is celebrated every year throughout Mexico (and beyond) as the Cinco de mayo holiday. Some of the most popular activities in Puebla include taking a walking tour of the historical center to admire its wonderful architecture (including the not to be missed Baroque Rosary Chapel in Santo Domingo church), visiting the first public library of the Americas, shopping for talavera pottery (and seeing how it’s made), and eating some of the wonderful traditional Poblano dishes, including mole poblano, chiles en nogada, and several different kinds of sweets. If you're traveling with kids, they'll be thrilled by a visit to nearby Africam Safari park, but anyone will enjoy a visit to the largest pyramid in the world (in sheer bulk), which is located in neighboring Cholula. Located in Mexico’s largest natural bay, the Bay of Banderas, Puerto Vallarta is a beautiful beach destination in the state of Jalisco. Puerto Vallarta combines the charms of a traditional Mexican town with the comforts of a modern resort area. Visitors to Puerto Vallarta enjoy strolling along the scenic Malecón, watching the sun set over the bay, taking day trips to other beaches such as Caletas beach or Yelapa, or just resting on the beach at a fun beach club. A visit to the Botanical Garden will allow you to enjoy the butterflies, birds, and plants of the area, and if you wish, take a dip in the Horcones River. Puerto Vallarta has a thriving gastronomy scene which visitors enjoy at Puerto Vallarta’s fine restaurants, but also out on the street stands, which you can explore on a street food tour. There’s truly something for everyone to do in Puerto Vallarta. A lovely colonial city in the highlands of the southern Mexican state of Chiapas, San Cristobal de las Casas has cobblestone streets, houses with slanted red-tiled roofs, and impressive colonial architecture. San Cristobal's large indigenous population gives the city a colorful atmosphere and rich cultural heritage. Beyond visiting the town, its museums, churches, markets and museums, there are several interesting day trips for visitors. The Sumidero Canyon is nearby, and you can take a boat ride through the impressive canyon and see crocodiles and other wildlife. There are several Mayan indigenous villages in the mountains surrounding San Cristobal. The two most visited are San Juan Chamula and San Lorenzo Zinacantán. Chamula is well-known for its church with strong syncretist elements, and in Zinacantan you can visit a Mayan family and learn about their textile traditions and sample some of the local food. San Cristobal de las Casas is a great destination for people who are interested in indigenous Maya culture and the natural attractions that Chiapas has to offer and is a great base for exploring Chiapas further. San Miguel de Allende, colonial jewel of the state of Guanajuato, is doted with a mild climate, thermal springs and beautiful colonial architecture. The city, located in central Mexico, played a major role during the Mexican War of Independence and is now home to a large expatriate community. There are restaurants and boutiques galore, as well as fine art galleries. The town was the birth place of Ignacio de Allende (for whom it's named), one of the heroes of Mexican Independence, and there is an excellent museum on one corner of the plaza devoted to him. The best way to discover the lovely historical center is by taking a walking tour of San Miguel de Allende. Those who are interested in flora and fauna should make a trip to El Charco del Ingenio, which serves as both botanical garden and nature reserve. Visitors who are interested in shopping for jewelry and exploring a picturesque mining town will enjoy a visit to Taxco de Alarcón. Mexico's silver capital is located in the state of Guerrero, but it’s an easy two hour drive from Mexico City. The hillside city has whitewashed buildings with red tile roofs and narrow, winding cobblestone streets and cozy plazas, as well as some stunning colonial architecture, namely Santa Prisca church. Take a ride on the cable car for some amazing views. The town was an important silver mining center in the colonial period, then experienced a lull until William Spratling, a jewelry designer from the United States showed up in the early 1920s and brought interest to the town. The shopping options are wonderful, particularly for those interested in acquiring some Mexican silver jewelry. You can visit as a day trip, but this lovely town is worth at least an overnight stay (especially since it would entail four hours of driving to get there and back from Mexico City in a day). The town of Tulum, on Mexico's Riviera Maya south of Cancun, was once a busy Mayan ceremonial center and trading port. One of the main attractions here is the Tulum archaeological site that has a spectacular setting on a cliff overlooking the Caribbean Sea. The other undeniable draw of Tulum is its absolutely beautiful beach which is considered by many to be the most gorgeous in all of Mexico (and possibly the most Instagrammable). The town of Tulum has some budget options for accommodation as well as some nice cabanas to rent along the beach and some wonderfully romantic hotels including a few that are clothing optional. Tulum has grown in popularity as well as size in recent years, and there are a growing number of hotels and restaurants, As Tulum becomes a trendier vacation spot, costs have gone up. Get an idea of what you would spend on a Tulum getaway.